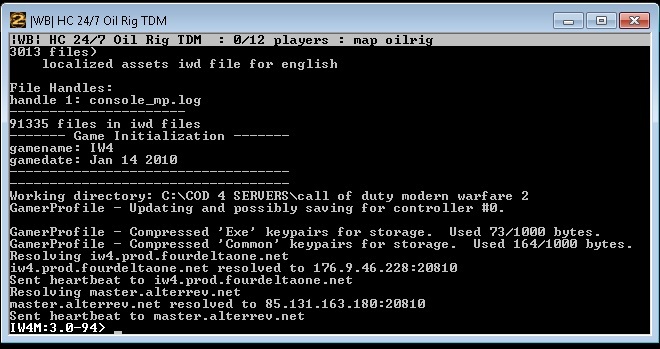 Some of you may be wondering how you can get your own high xp server in fourDeltaOne MW2. Here is a simple guide for the process. First you will need a good, clean server.cfg . Here is one that I use for my high xp servers. That will set FFA scores to 1000 per kill. you can change it to set scr_war_score_kill”1000″ to do it for TDM, and you can figure out the rest. Make sure to use a clean simple config though, as it may crash your server if you don’t. Good luck! This entry was posted in Call of Duty, fourdeltaone, Game Servers, PC Gaming, Tutorials on October 8, 2012 by will. Apparently there is a way to exploit rcon in cod4/mw2 servers where the hacker is able to retrieve the server.cfg file remotely and then in turn get the rcon password. Then they can do whatever they want. Here is my solution to that problem. 5) start up the server. 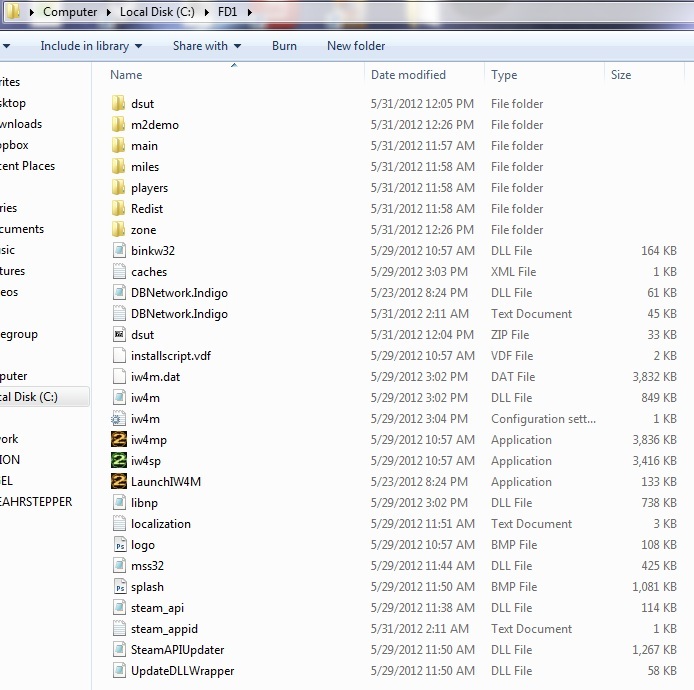 the hacker will need to know the file name of the config, which will be nigh impossible to guess. After doing these steps the hackers stopped attacking my servers. Reply below if you used this method and are still having problems! This entry was posted in Call of Duty, fourdeltaone, Game Servers, PC Gaming on October 8, 2012 by will. Once you have these files, you’re ready for the fun stuff! Run the iw4m_updater.exe and let it download the files. Make a shortcut to iw4m.exe on your desktop. If you don’t have one, rename the iw4m.dat to exe. Add the following parameters ( -dedicated +set party_maxplayers 18+set net_port 28961 +exec server.cfg +map oilrig +map_rotate) to the shortcut if you want an 18 player server running on port 28961 using the server.cfg that you have configured, loading OilRig as the map. set scr_game_spectatetype “2” // by request? set scr_sd_roundswitch “12” // after X rounds, switch sides? set scr_sd_multibomb “0” // allow multiple people to ‘have the bomb’? Run the shortcut. You should see it load your config file, and begin working. Go to the game, and browse for your server. If its on your network, you should be able to see it, and connect. If your server is running sluggish, try adding the -console parameter in the shortcut. It will change it back to the old console. Leave any questions below. Thanks! This entry was posted in Call of Duty, fourdeltaone, Game Servers, PC Gaming, Tutorials and tagged call of duty modern warfare 2 four delta one tutorial server dedicated easy as pie on October 8, 2012 by will.